There’s nothing quite like a superfan. It’s great having readers who will read and review your books. It’s equally cool when certain folks will comment on your blog, video, or podcast. When one person does all of that to the extreme, in addition to posting like crazy about your latest release, you might just be witnessing a superfan in action. Superfans don’t just like the books they read. They devour and love them. As an author, you should do everything in your power to seek out these devoted readers. One way to hunt down fans who have no issue sharing the books they love is on Pinterest. To the casual user, Pinterest is great for seeking out recipes or wedding ideas. 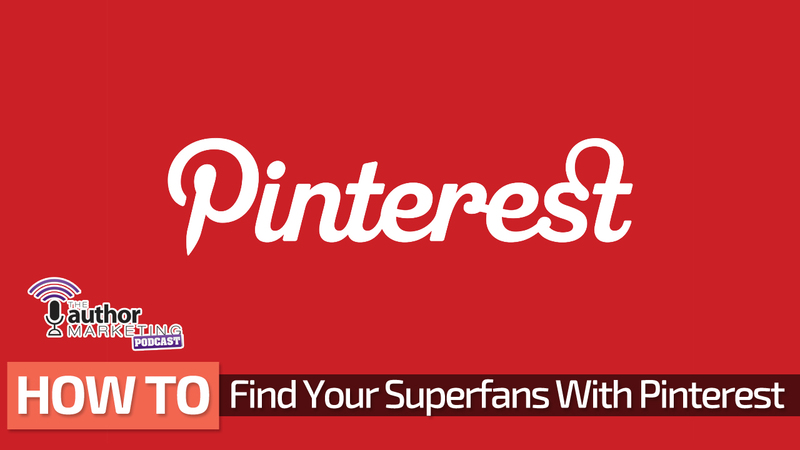 Superfans use Pinterest to pin links to their favorite memes, art, movies, music, games, and books. When your work is included as part of the pinning frenzy, you may find Pinterest as your top referrer of traffic and email subscribers. Pinterest is not a place for neutral. It’s a site where passionate people pin links to things they’re passionate about. It’s a collection of the best pictures that link to the highest-level content online. People who love things with all their heart and don’t mind sharing it are major Pinterest users. Pinterest isn’t a “fake it until you make” it platform. You need to pin boards that you’re passionate about. Create boards that show your influences as a writer. For instance, if you’re a paranormal author you might pin a board for the TV show “Supernatural.” On that board, you’d re-pin memes and links while creating several pins that link to posts about the show on your blog or podcast. Pinterest is all or nothing. Don’t pin a board that doesn’t reflect your passions. By showing what you love and how it influenced you, you’ll find followers who might be interested enough to follow your writing somewhere down the line. Some authors have collected thousands of followers by using quote pictures. These are artfully designed quotes from their favorite authors. The right quote with the right design could result in dozens of re-pins and exposure to new followers. You can create quote pictures in a free image tool like Canva. Simply find a royalty-free background and a suitable quote. Place the quote into the image using an attractive font and voila! You’ve got your quote picture. Add the quote pictures to one of your boards. As an author, you may be inspired by dozens of quotes on the subject of writing. If TV is more your speed, you may want to pin a board of quotes from your favorite characters. Whatever you post, make sure it’s something with emotional weight behind it. If it doesn’t matter much to you, then it won’t matter much to your potential followers. Researching large and detailed story worlds has become much easier with Pinterest. You can use the site to search for inspiration on setting, time period, and style. When you find a post that helps you in your writing journey, you can re-pin it to a board related to your research. Creating a research board gives your followers the chance to go deeper into the world of your story. By seeing how you came up with your ideas, followers forge a deeper connection with the worlds you’ve created. Thriller author J.F. Penn shares these research boards on Pinterest in a call to action at the back of her books. This gives readers who’ve invested their time in the book a chance to dig deeper. While not all readers will search through J.F.’s boards, some will be interested enough to follow the board and re-pin its posts. The more people invested in the board, the more likely it is that new Pinterest users will find and follow her work. As you open up your process to your readers, they’ll feel more like insiders who want to promote your work. Once you’ve shared your passions, quotes, and research, it’s time to start sharing your books as well. Create one board or several boards representing your work as an author. Within each post, you can link to your books on sale on Amazon or to blog posts or podcasts in which you’ve discussed the work. You can also re-pin posts that other users have made about your work. Notice that your book boards make up less than half of your total number of boards. In many cases, they may only show up as two out of 10-30 boards you’ve got posted. This is because Pinterest is about finding fans to follow you, not about direct selling. You want to make it as easy as you can for people who want your books to find them, but you don’t want to push away the people who are just getting to know you. That’s why selling shouldn’t be your top priority on Pinterest. Keep an eye on which pins on your book board seem to get the most attention. Find similar pins or create them on your own through Canva and your blog. When you do post about your book, calls to action make it easier for superfans to connect with you. A call to action is a clear request for a person to do something with your link. 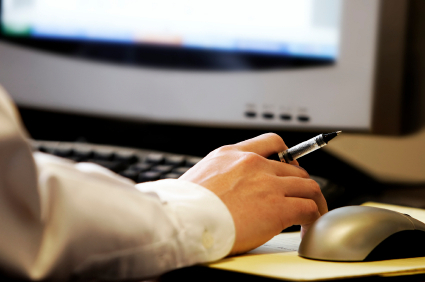 If you want a reader to click through and buy something, then you should tell them to do so. Don’t force the issue with all-caps and a hundred hashtags. A simple, “Click here to get the book today” will do. You can use calls to action throughout your boards to ask readers to follow you or re-pin your posts. Just like with selling books, you don’t want to overdo it. Ask your followers to do something every so often, and you’ll be surprised at how often they respond. Pinterest can take several months to a year to obtain a few hundred followers. Even then, it requires upkeep to make sure your followers stay interested. It may seem like a waste of time to try, but it’s one of the best ways to find devoted readers. Pointing a few superfans in the direction of your work may be worth the time you put in. Even if it’s not, Pinterest can be used to inspire both you and your potential readers. You’ll need to work hard to obtain success, but if you do, you’re bound to find multiple word-spreading superfans from your efforts.